Many pet owners may be wondering or in confusion about what is anesthesia free dental procedures. Or you might have heard about this procedure from word of mouth, local pet groomers or any other veterinary service providers. The practice is generally about scaling of a dog or cat’s teeth putting the pet under restraint without using anesthesia. Dental disease is the most common disease that occurs in 80% dogs and 70% cats by the age of 3. Lack of proper dental care for your pet results into various oral problems such as gingivitis, (which is a plaque build-up on a cat’s or dog’s teeth and gums) that may appear red and swollen. Lacking treatment to this can further lead to mouth diseases such as periodontitis and loss of tooth. In worst cases, gum line is totally affected with infection. Normally, to avoid severe dental problems, pet owners look for cleaning pet’s teeth for removing that plaque or tartar buildup. And, this is done through normal dental procedures. In such dental treatments, no anesthesia is required. But, it definitely means that your pet has to be physically restrained in order to have access to the teeth. Usually, the provider says that it is just as a human dental procedure. But, how many of you think that it is just plain and pain free procedure. 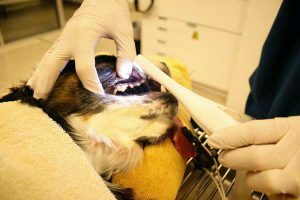 The discoloration or cleaning of pet teeth program is all about scraping out, removing the layers of plaque and bacteria built up over time, from the visible portion of the tooth by using a sharp instrument known as a scaler. Think about the minor scaling that you may undergo sitting in that dentist chair. How it might feel about scaling without any anesthesia and how it feels to scrap your teeth. It certainly could be a great deal of pain and uncomfortable for your pet to sit in the chair and undergo scaling without anesthesia. At the end of anesthesia free dental procedure, you may see that the outside of your pet’s teeth are clean. However, there is much pain in his eyes. Moreover, the procedure does not involve any consideration about cleaning under the gumline where bacteria breed and cause periodontal diseases. This is usually done in order to avoid anesthesia, but neglecting this can even cause great threat to pet’s life. Well, white teeth do not mean bacteria-free teeth. It is the common perception that white teeth do not pose any danger of dental disease, which is totally wrong. Therefore, overall cleaning of your pet’s mouth is important through dental procedures involving anesthesia. Because, anesthesia free dental procedures not only restraints pets causing great discomfort and pain but also ignoring the importance of cleaning of gumline. 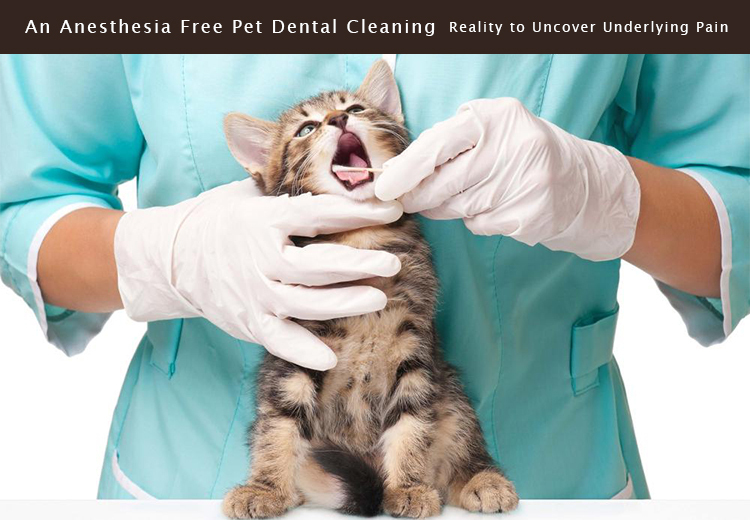 Anesthesia Free Pet Dental Cleanings, Anesthesia Free Teeth Cleaning for Dogs and Cats, Anesthesia-free Dentistry For Pets, Anesthesia-Free Pet Dental Care, Anesthesia-free Veterinary Dental Care, Debate Over Anesthesia-Free Pet Dental Cleaning, Is Anesthesia-Free Dentistry Best for Your Pet?